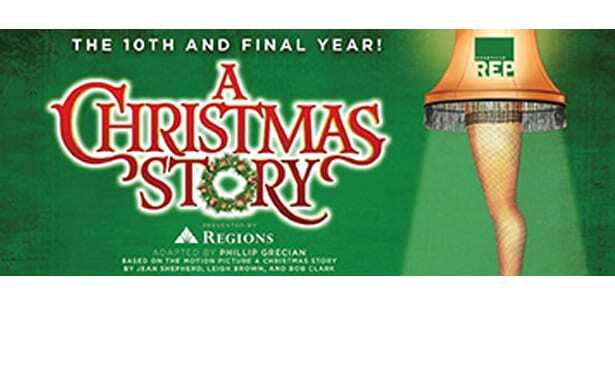 NASHVILLE, TN — For the tenth and final year, Nashville Repertory Theatre is bringing A CHRISTMAS STORY to the stage! Directed by René Copeland, Nashville Rep has produced this show since 2009. It has become a popular tradition to see the show every year at the Tennessee Performing Arts Center, making it no surprise that A Christmas Story was named the Best Holiday Family Tradition in the Nashville Scene’s 2018 Best of Nashville Awards. Over the last decade, 21 actors across ten casts have been part of this hilarious show, based on the motion picture A Christmas Story by Jean Shepherd, Leigh Brown, and Bob Clark. Even audiences who have seen the movie or play before are in for a different experience when they see A Christmas Story at the Rep. Copeland and the cast tell the holiday classic with only seven actors who constantly cross lines between ages, genders, and even species. Audiences can look forward to the traditional elements like the leg lamp, Little Orphan Annie decoder pin, Red Ryder BB Gun, and a mouth full of soap, but expect some twists! The flashback-style play is told by Nashville Rep in a way that can only happen in the theatre. Audience participation is plentiful, and some performances will even feature special guests like local meteorologist Lelan Statom and Nashville Predators mascot, Gnash. Starring as Ralphie for the fourth time this year is Derek Whitaker. The Mother is played by Megan Murphy Chambers for her fourth year, and her real-life husband Jack E. Chambers plays The Old Man for his third year. Andy Kanies is the longest-starring veteran of the show, playing Randy for his seventh time this year. Bret Cantrell plays Schwartz for his third year. Zack McCann and Sawyer Wallace join the cast for the first time this year as Flick and Scut, respectively. Nashville Rep is making the last year of A Christmas Story more festive than ever by throwing parties in the lobby before every Saturday performance of the show. On December 8, Christmas Carolers are visiting the lobby before both performances to perform holiday classics and invite everyone to sing along to Christmas favorites. December 15 is a Pajama Party, when the audience is invited to view both performances in their favorite fleeces and pink bunny onesies, complete with slumber party snacks. Finally, December 22, Santa Claus himself will be in the lobby for an hour before each show to meet the audience, take photos, and hear what the children of Nashville want for Christmas! In the spirit of the holidays, the Rep is hosting a Toys & Toiletries Drive during the run of the show to support the students of Wright Middle School. 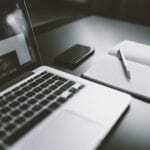 Wright is a highly diverse Title I school with over twenty languages and countries represented. Many of their students rely on the school for assistance with basic needs, and many teachers put together Christmas surprises for students who may not receive them at home. The students are driven and excited about the arts, making them an ideal partner for Nashville Rep. This year, teachers are asking for toiletry items to put into kits for the students and for small stocking-stuffer gift items that do not require batteries. Audiences can bring these items to A Christmas Story where boxes will be available in the lobby to receive donations. Anyone who wants to support Wright Middle School can also bring toiletries and toys any time to the main office of the Nashville Repertory Theatre, 161 Rains Avenue, Nashville, TN 37203. Tickets for A Christmas Story are available now at NASHVILLEREP.ORG or the TPAC box office at (615) 782-4040.